I saw the cows who cannot spell as I was driving home from class. You know, the illiterate cows we see daily and just accept into our cultural norm? But somehow, it bothered me more than usual. I think my new label, Literacy Coach, makes me tuned into a multitude of literacy topics and issues. Now, when I see the cows, I just want to pull over to the side of the road and teach them a few phonics lessons. I would suggest that they write in pencil before marker, and definitely before paint. I would ask: Is standing upright uncomfortable for a cow? Then I wonder if my personification lessons have gone too far. I also noticed that they spelled EAT correctly. Why? Why not misspell all of the words? Why go half way? Or, two-thirds of the way? I looked up the cow controversy. This happened because I was supposed to be doing my homework for grad school. I didn’t realize the issues reached so many groups. Apparently, the cows do not like gay people. I found that the company supports literacy through giving free books away with the kids’ meals. ????? Those same kids write in their daily journals about ‘reeding’, eating chikin, and wanting mor fries. No, it is true, I have had students spell like the cows. Sadly, I didn’t find many articles from disgruntled educators and parents. I’m sure they are out there, but I stopped clicking at the third page. And if the article I’m looking for is to be found on any page other than the first one, it isn’t too important. I am learning in my reading theory class that literacy has various definitions and criteria, depending on the community and on the culture. But, as I type these words, I have an advantage over many thousands of people, all over the world. I understand words. I speak words. I write words. I recognize words. I love words. 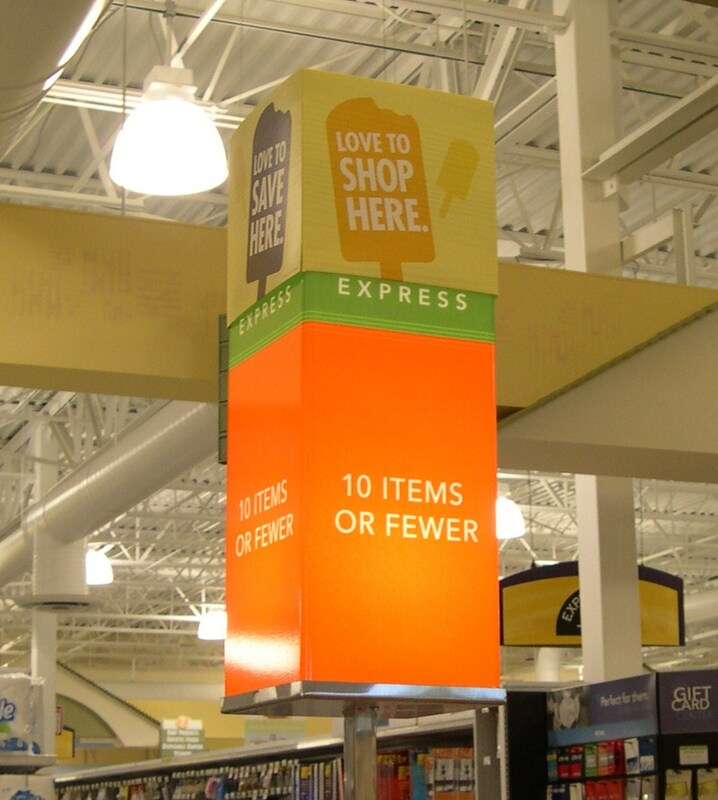 Illiteracy statistics vary. I believe this depends on the researcher’s definition of literacy. 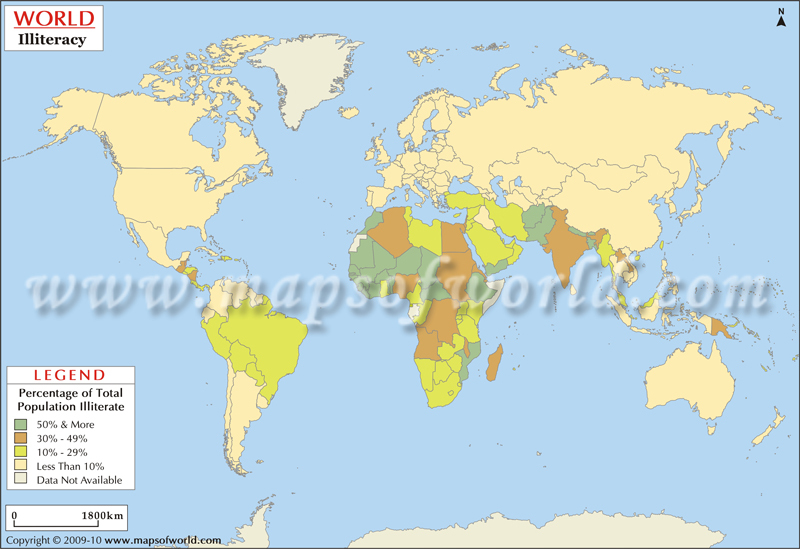 According to this map, the U.S. is less than 10% illiterate. For the resources we have in this country, that number is horrendous. I have worked with illiterate parents. They are savvy. They make their way through life, dodging words; but compensating with a myriad of techniques they have learned in order to hide their disability. Yes, I’m saying illiteracy is a disability. It is. 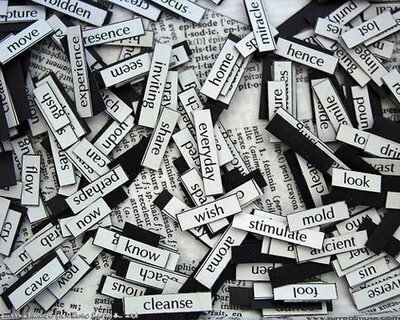 I cannot imagine, living my life without understanding the words that saturate each and every experience I have. This same theme has found me in various scenarios. Yesterday, in class, our professor had piles of children’s picture books for us to look through. We were to find passages that would lead to engaging writing activities. 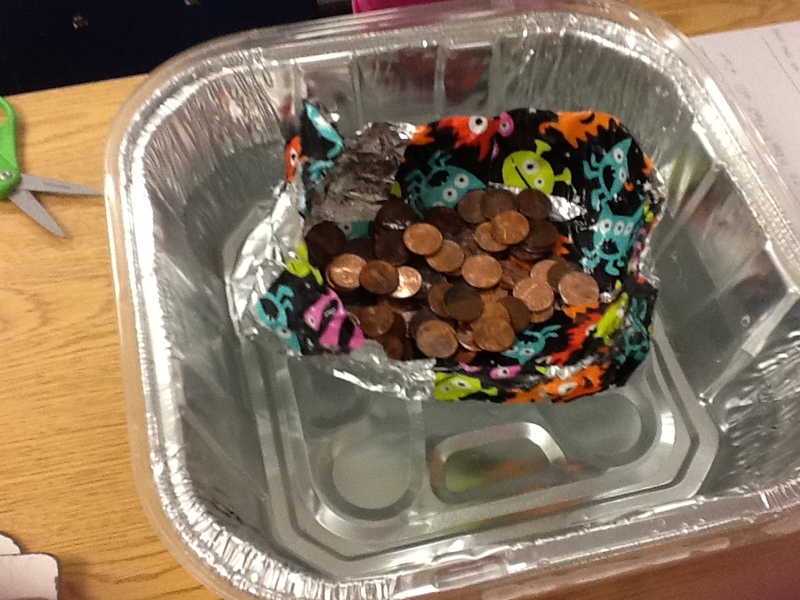 I am fascinated with Eve Bunting, and I was glad when our group chose that pile of books. She is a topical author who writes picture books that deal with serious issues like: riots, homelessness, the Vietnam war, individualism, divorce, illiteracy, and many other relevant topics. Of course, my obsession with such heavy literature made me overlook a child copying the plot line to Corduroy during a writing conference, in one of my friend’s classrooms. Another humbling experience. Another story. Who has time for bears and kleptomaniac children when there are world issues to tackle? 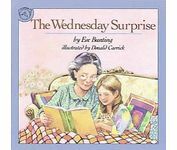 The Wednesday Surprise, by Eve Bunting is a book about a child meeting with her grandmother each Wednesday. The nature of the meetings are kept secret until there is a birthday celebration for the girl’s father. He is floored when he hears his mother read, and learns that his daughter has been teaching her to read every Wednesday. I imagine in this fictional family, Grandma’s illiteracy was understood. Apparently, it took a small child to help fix this problem, while the parents looked the other way. Lately, every spare moment of my time is consumed with labeling my “mentor texts”. These are the books I use to introduce writing lessons. It started slowly, then somehow, it has snowballed into stacks of picture and chapter books, piling up and surrounding me. I made bright pink labels for each book. By the way, not one of these books uses misspelled words as literary devices. Another book that deals with illiteracy due to a disability, is written by another wonderful author: Patricia Polacco. The girl in the story is brought up in a literacy-rich environment. But as she enters school, she finds that she is unable to read as easily as the other kids. She has dyslexia. She begins to hate school because of her reading difficulties, and the kids teasing her. She finally gets a teacher who cares, pays attention, and works with her. We find out that this is Patricia Polacco’s autobiography. 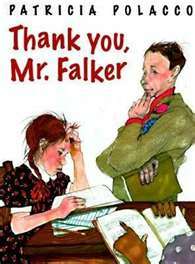 Every time I have read this story to a class, there is always at least one student who relates to the girl’s struggle. It is a powerful book. It reminds me that there is always the probability that there is a child, in my class, memorizing what they need to in order to “seem” literate. So, what does this have to do with the cows? I see the cow company using illiteracy as an advertising campaign. We don’t see other disabilities advertised in order to sell a product. What a horrible thought. Illiteracy is covert, the cows are cute, and there is no intended harm. I get that. But, when you have seen people struggle with those same words, it hits home more than it probably should. Also, as a side note, the cows are everywhere. Ubiquity with the cows is overkill. Maybe, the next campaign could be the cows in school, overcoming their spelling issues. They can even put a smart cow teacher in there for good measure. I’m not sure if I’m one of those, “EVERYTHING HAPPENS FOR A REASON PEOPLE”, but I’m beginning to think that my hyper-awareness of people’s words can be a good thing. Maybe, the cow comparison is a stretch to some; but they still bother me. Do you remember learning to read? Probably not, if you don’t have a reading disability.